I had a sweet tooth this weekend and enjoyed eating a few treats, including chocolate covered pretzel with toffee from Disneyland. But onto a new recipe for meatless Monday…. I first read about tempeh a few years ago when I read The Kind Diet cookbook. 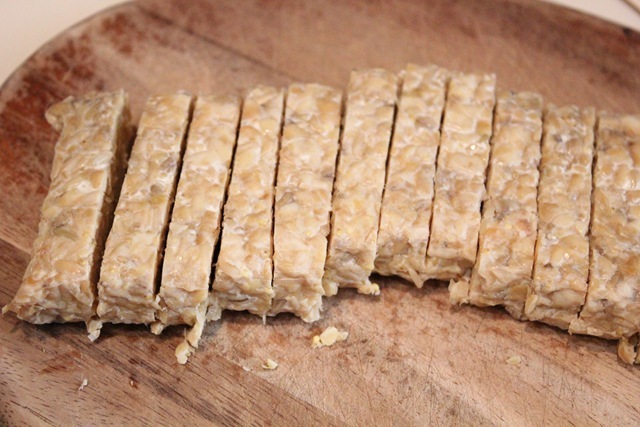 Tempeh is made from slightly fermented soybeans and originally comes from Indonesia. 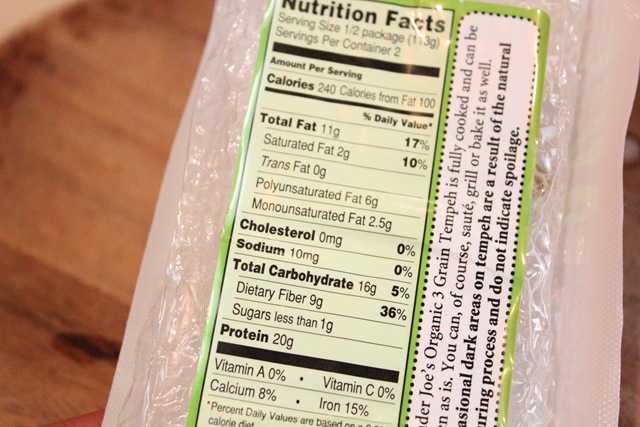 It is nutty and meaty in texture and it’s high in protein. When I first tasted it, I was curious and ate it straight from its package. I would advise you not to do that. After cooking tempeh a few times and cooking it in different ways, I know that it can be delicious. 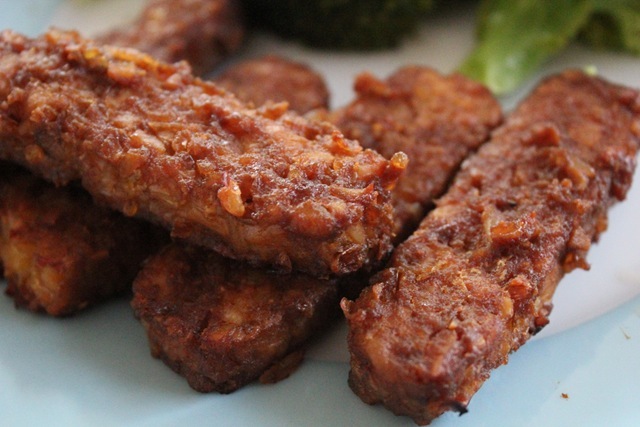 This tempeh recipe is full of flavor. It is sweet from the maple syrup and a little tang from the dijon mustard. Pre-heat oven to 400 degrees F. Prep a baking sheet with parchment paper. Meanwhile, cut the tempeh into 1/2 inch strips and steam for 10 minutes. In a medium bowl, whisk together the mustard, maple syrup, and soy sauce. Then, whisk in the extra virgin olive oil until emulsified. 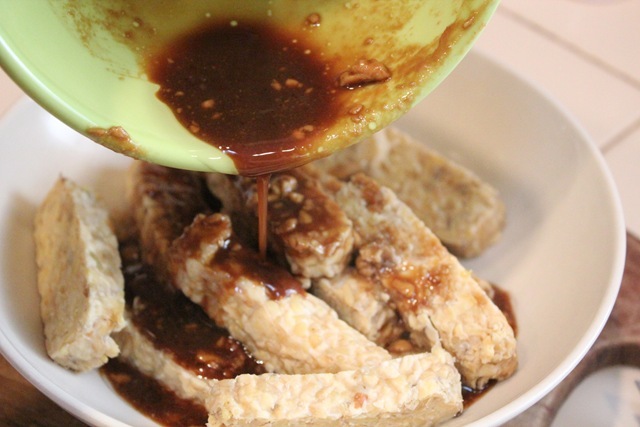 Add steamed tempeh to the marinade, stir gently till tempeh is evenly coated, and let marinate for 30 minutes. Spread tempeh onto prepared baking sheet, laying the pieces on the wide side so they bake evenly. Bake for 10 minutes. Turn tempeh pieces to other side and bake an additional 10 minutes. I tasted the marinade to check the flavors. The marinade tasted really strong, but the strong flavors came out milder after the tempeh was baked. Another tip, make sure the tempeh are baked in single layers. It will have better texture with a little crunch on the outside. 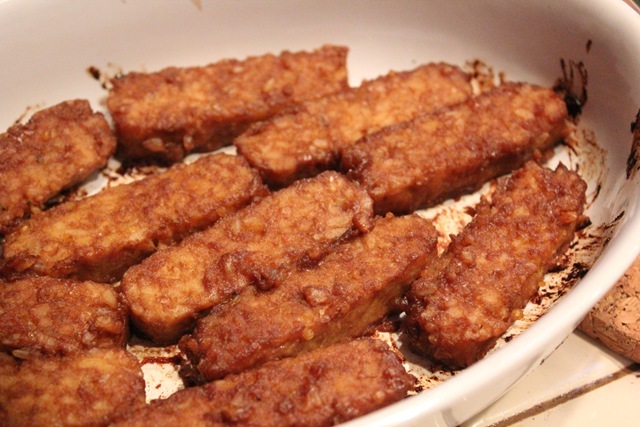 I’m happy to have found another tempeh recipe that I love. This is a good recipe to make ahead to stuff in wraps and sandwich fillers for quick lunch ideas. I am eating the leftovers as salad toppings. 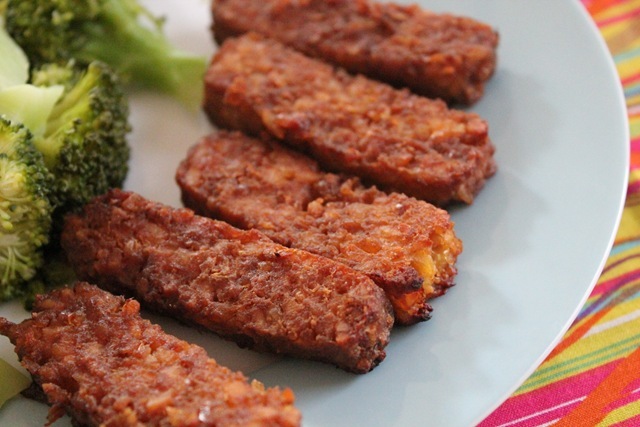 Have you eaten tempeh before? My first taste of tempeh was at a restaurant called Real Food Daily in Santa Monica. I ate the bacon tempeh burger and loved it. I haven’t had a lot of tempeh before and haven’t loved it but I must say, this version makes me want to give it another try! 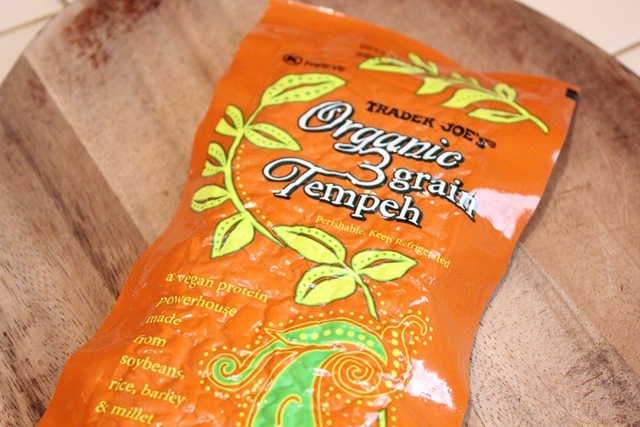 I really need to try tempeh — we have some int he fridge, but I’m a little scared to use it! I’m Indonesian and Tempe is a must in our menu. I’ve got thousand ways to cook it including the ones with coconut. If you want me to share them, just don’t hesitate to let me know. Yummm I don’t think I’ve tried it but that recipe looks delicious I have to try it soon. I think tempeh is delicious! The only times I’ve had it have been from the salad bar at Whole Foods. I’ve never made it myself but that recipe looks great! looks terrific! i need more tempeh recipes. I’ve been to RFD before! Loved it! My first tempeh was in Westwood… Native Foods Cafe. I did NOT like it.